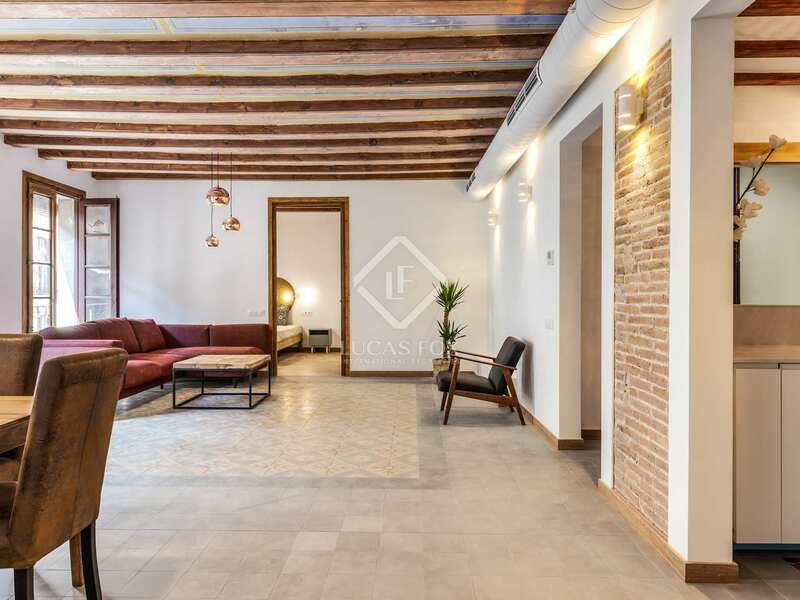 Renovated apartment with quality designer finishes and period features, for rent on Carrer de la Princesa, El Born. 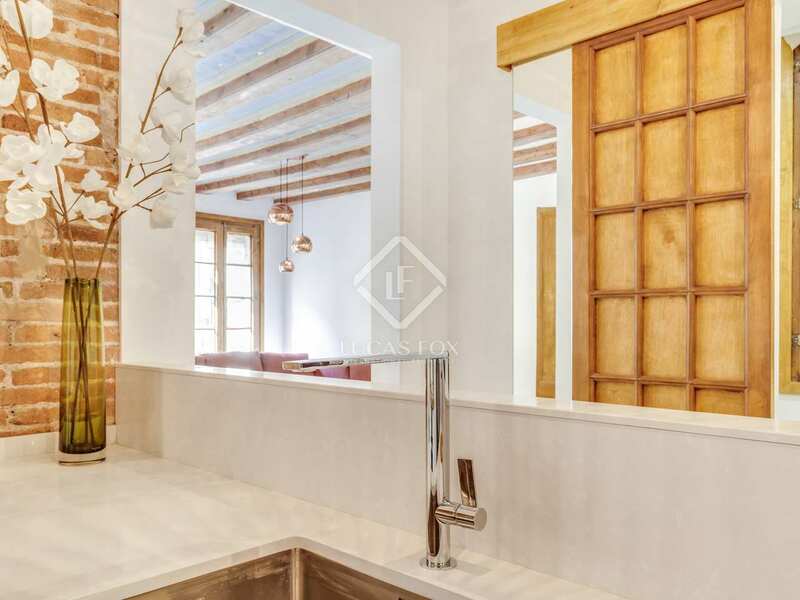 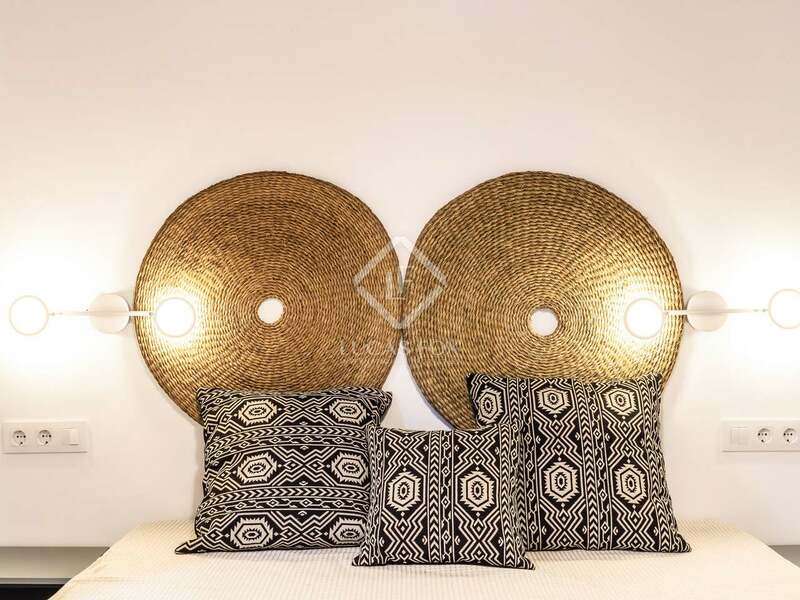 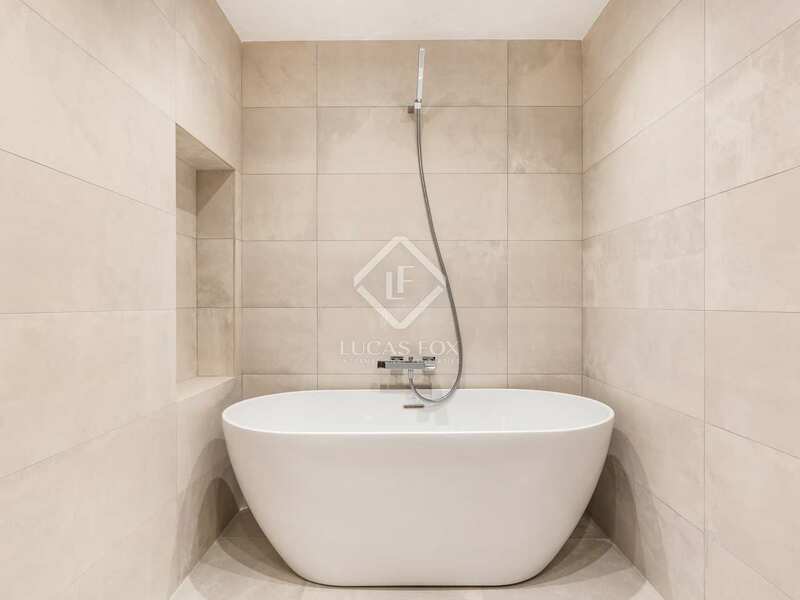 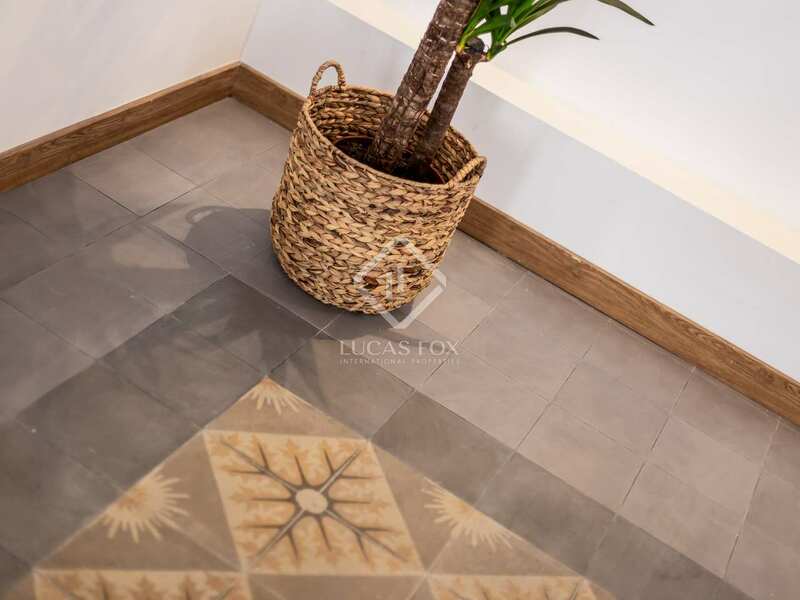 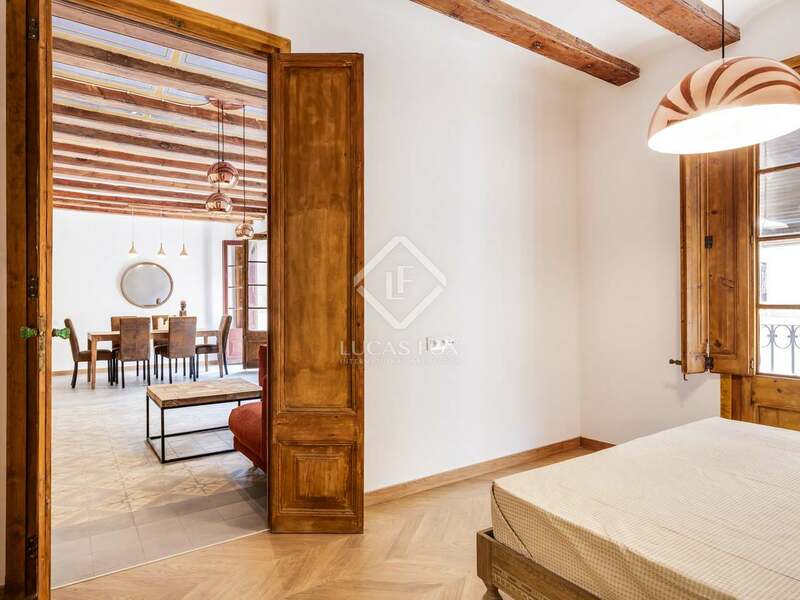 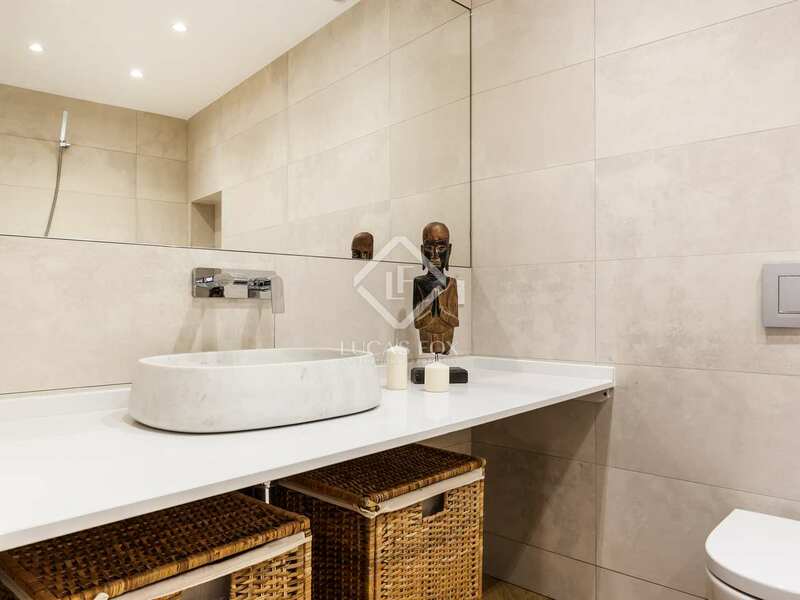 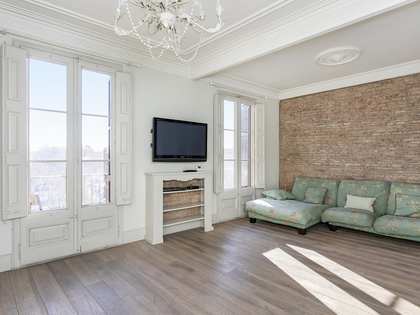 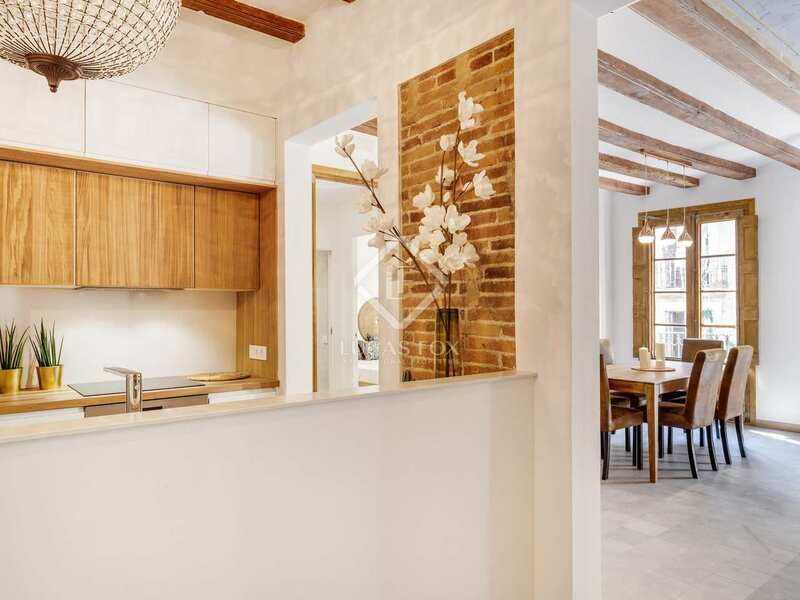 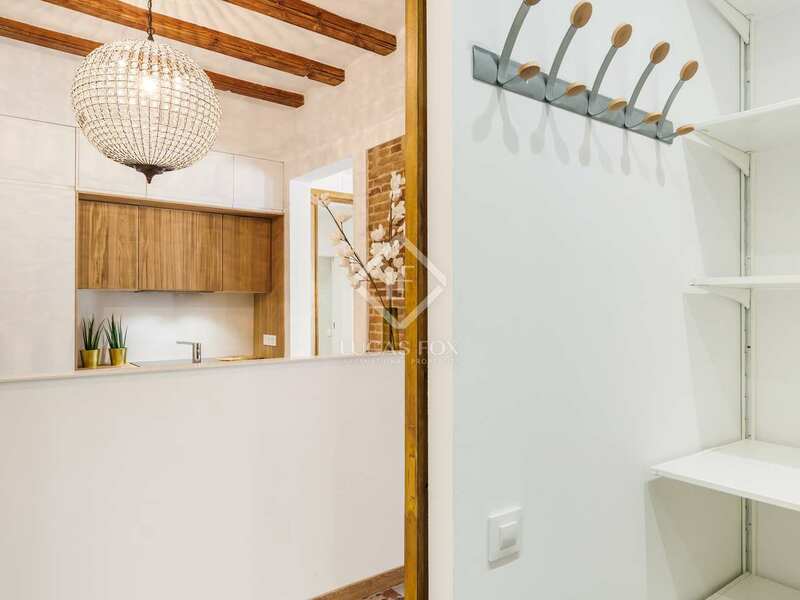 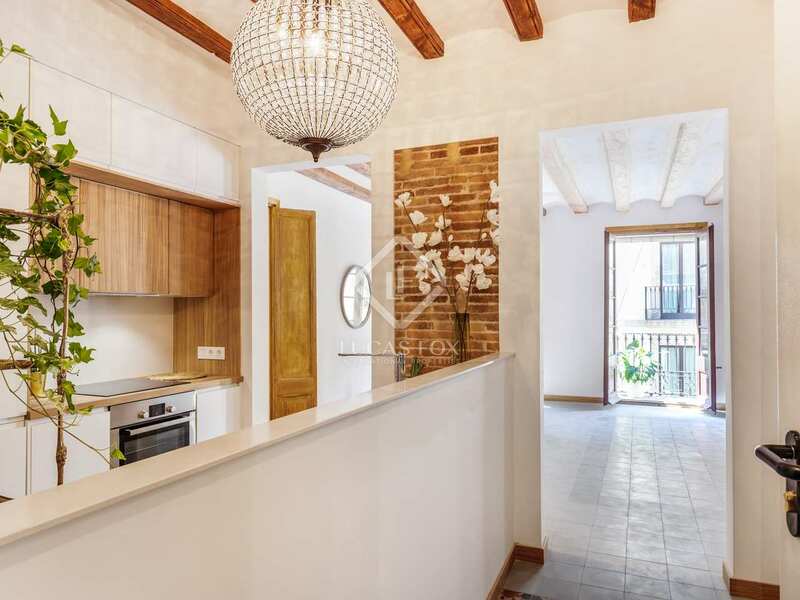 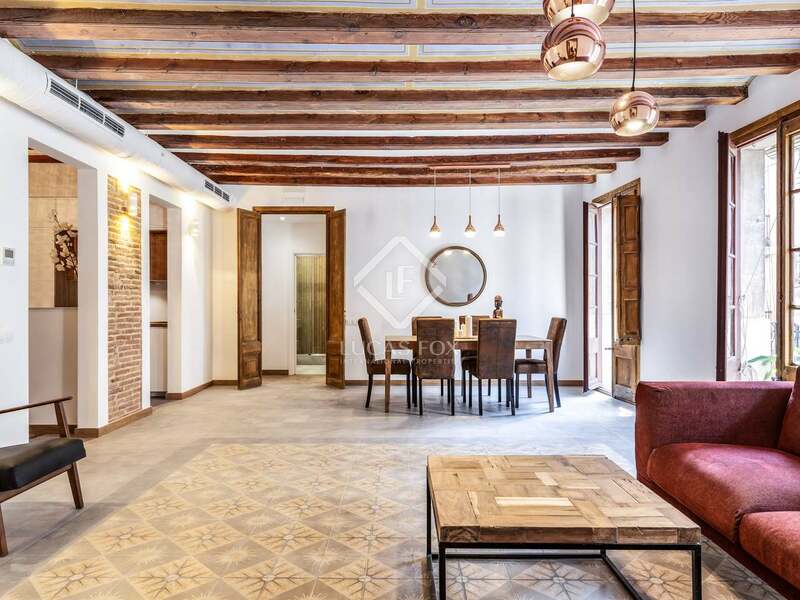 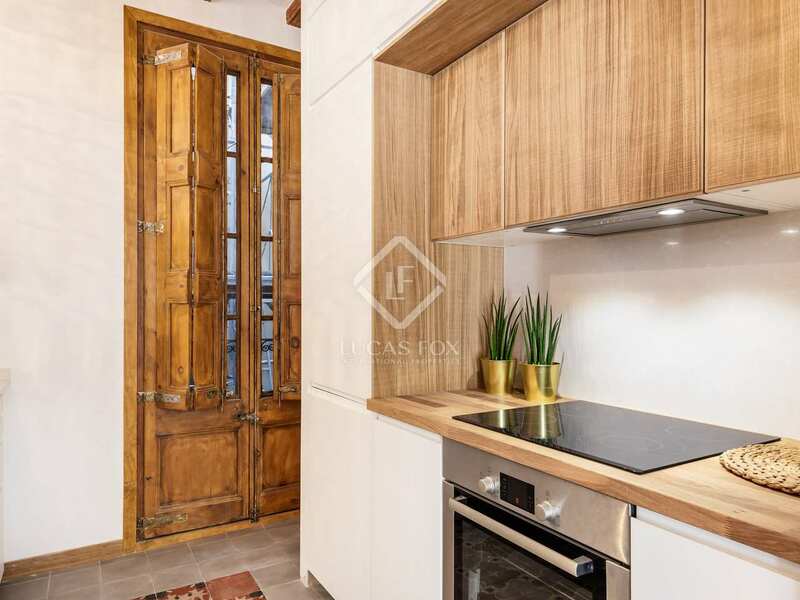 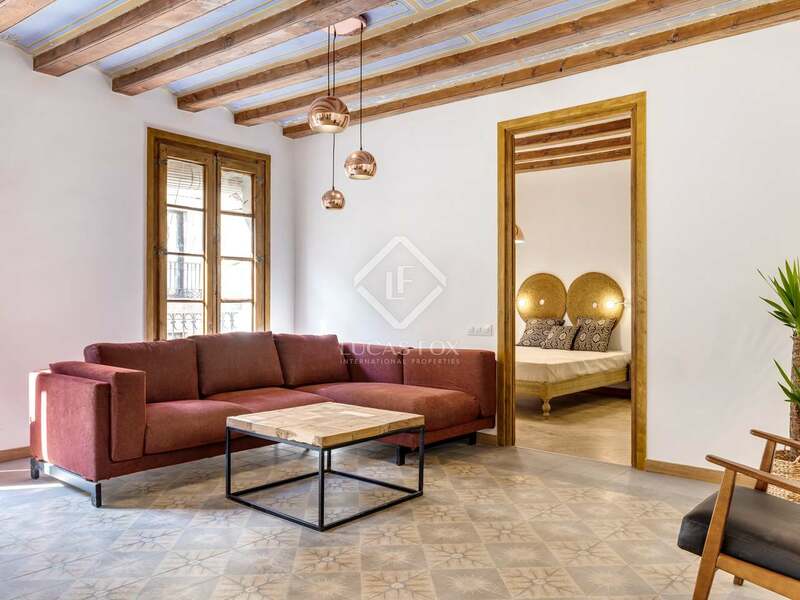 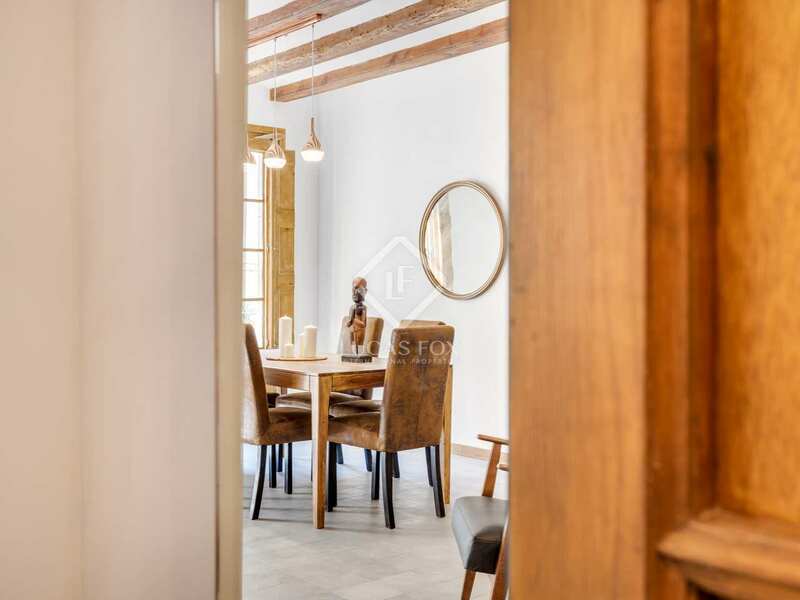 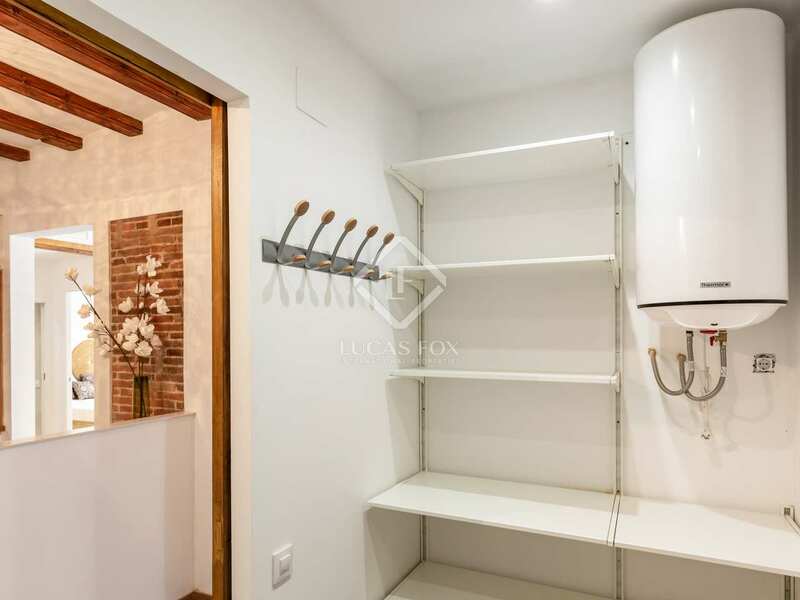 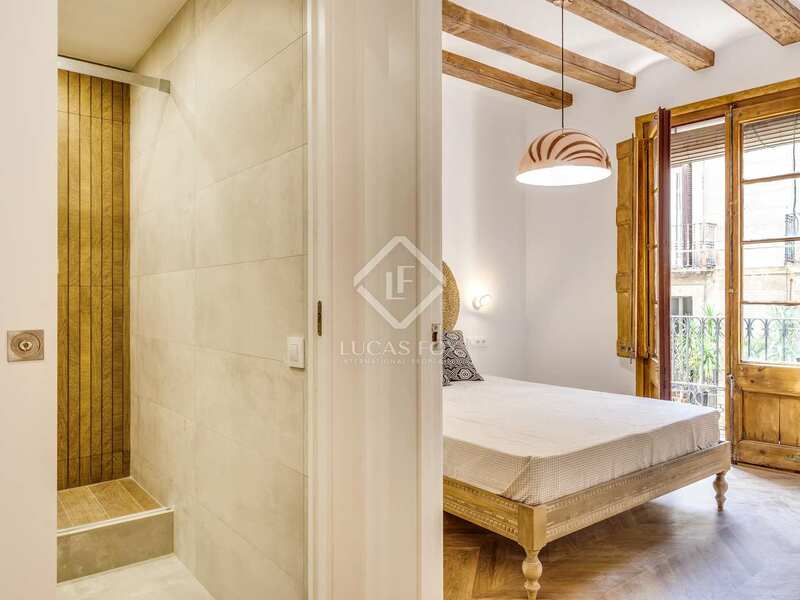 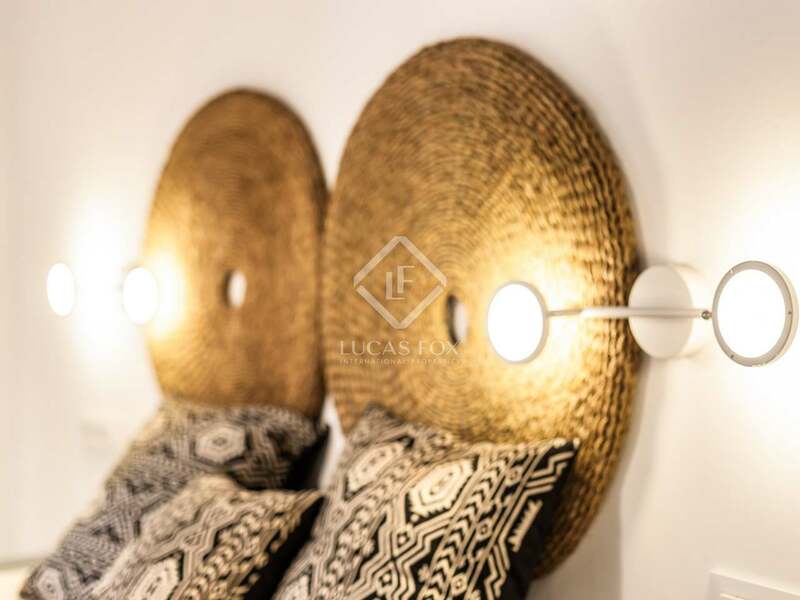 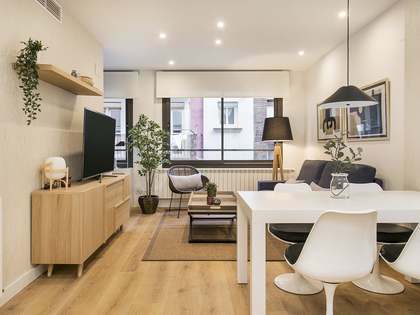 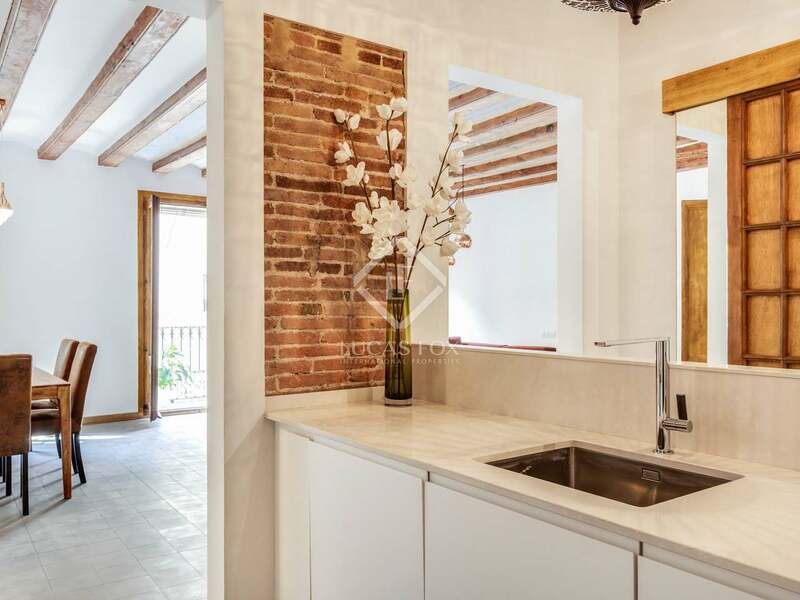 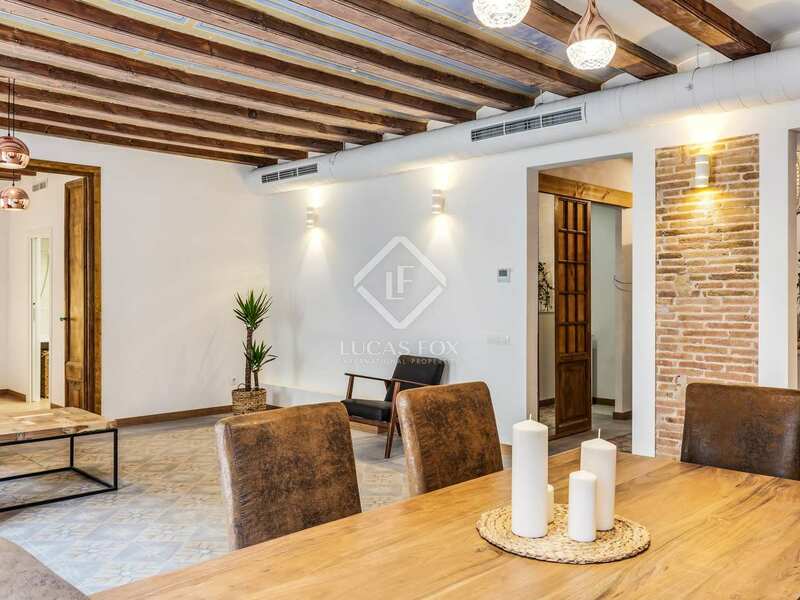 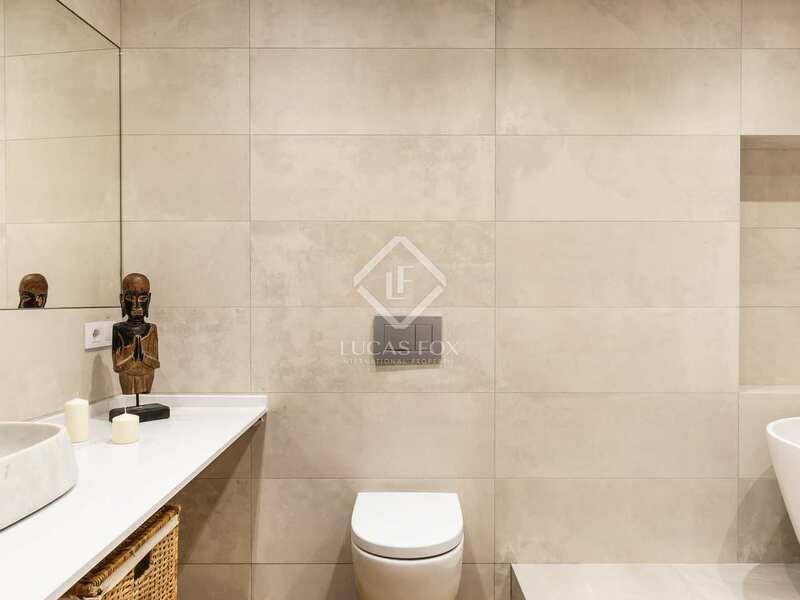 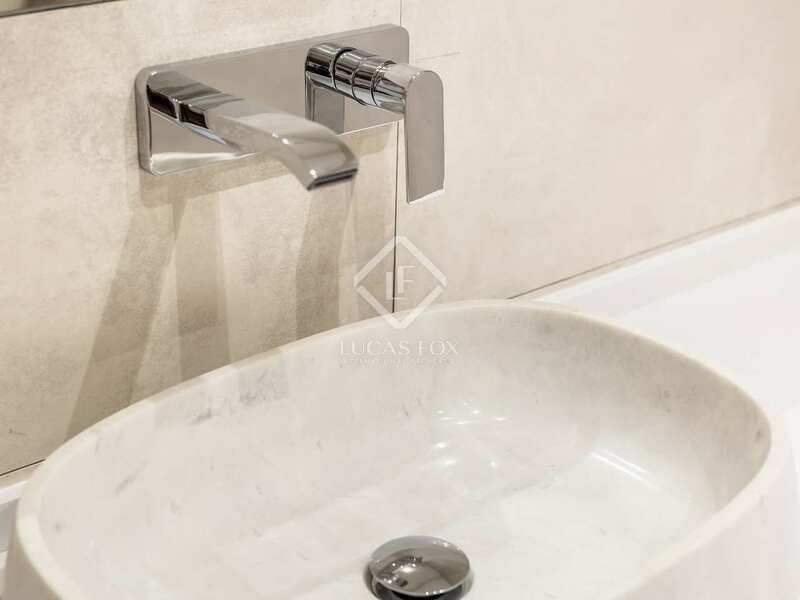 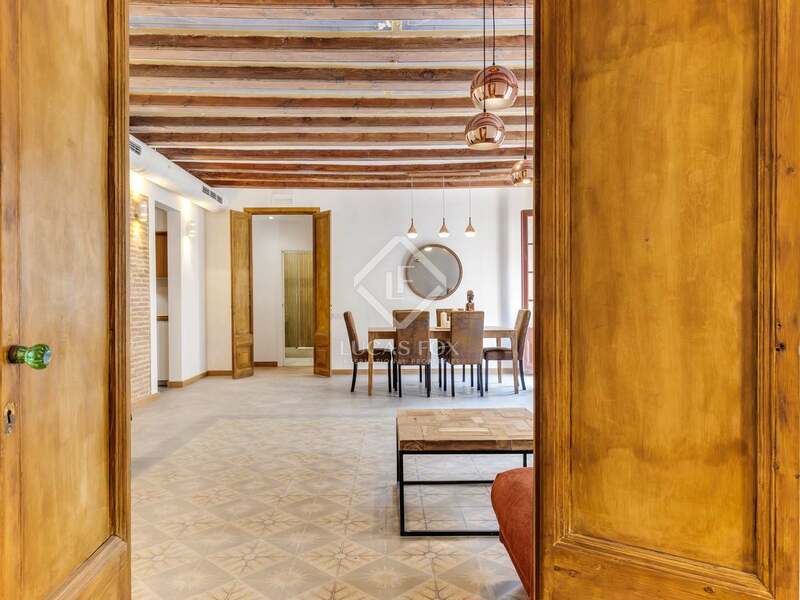 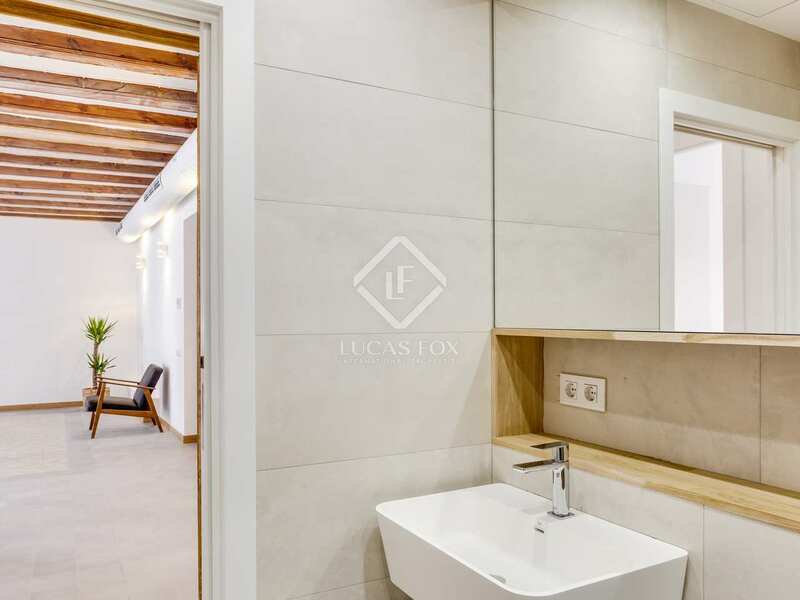 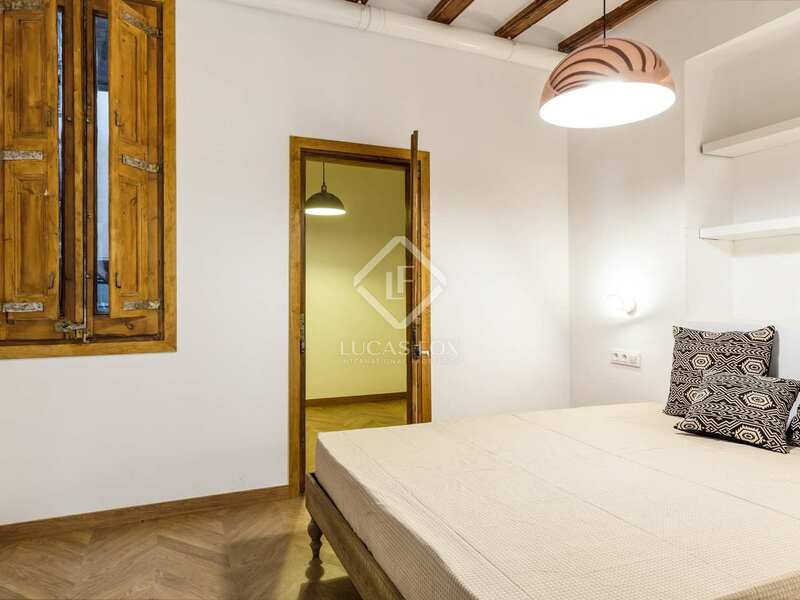 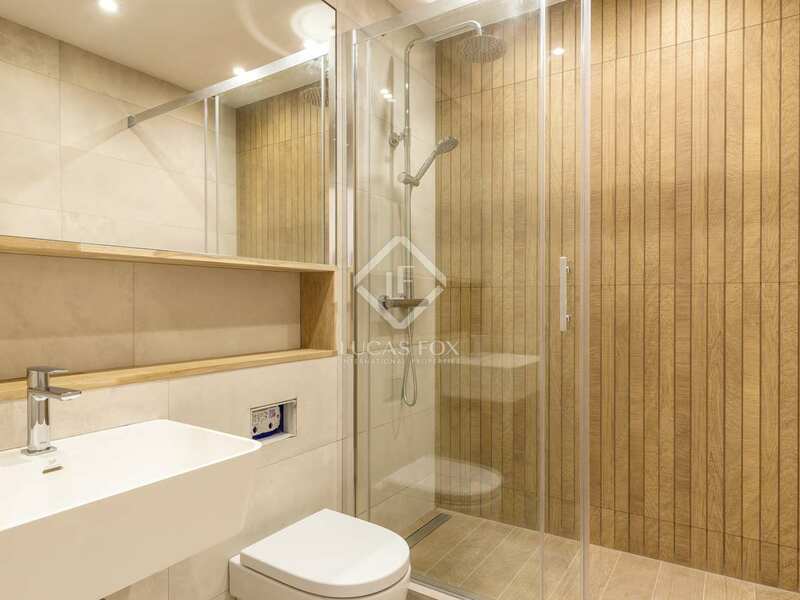 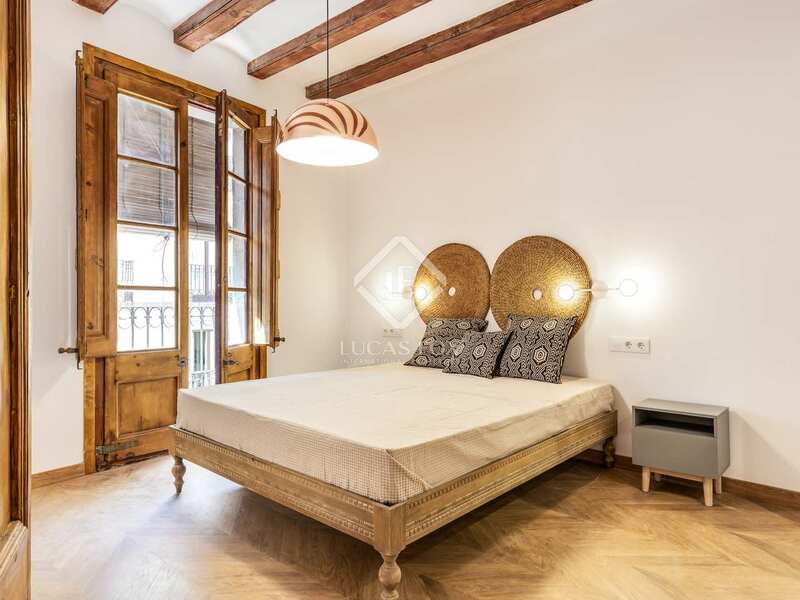 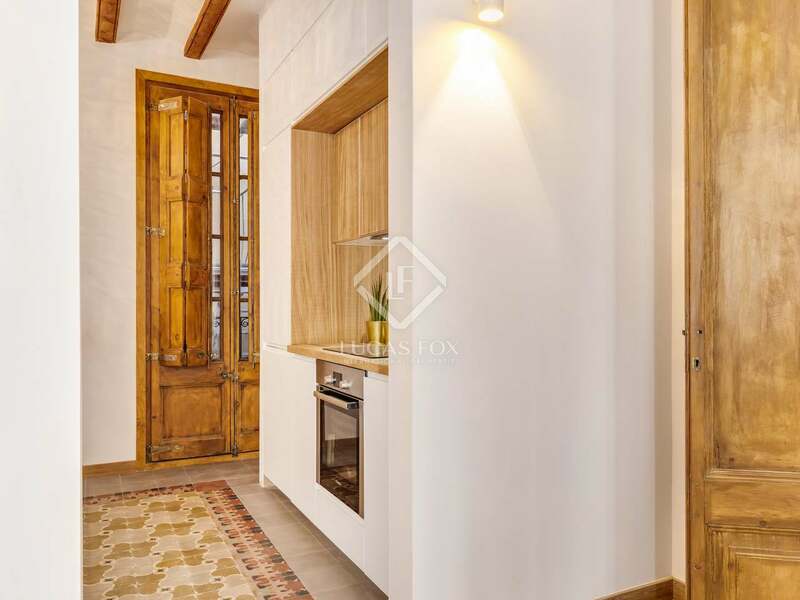 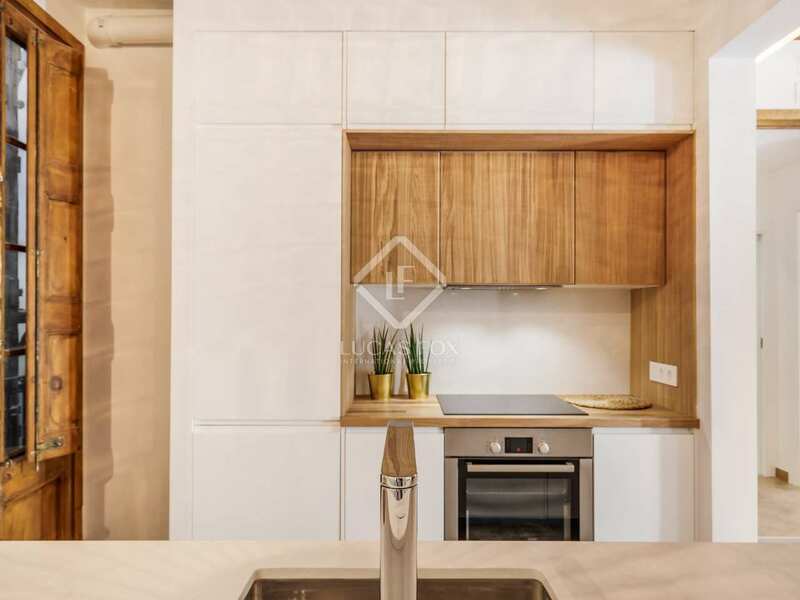 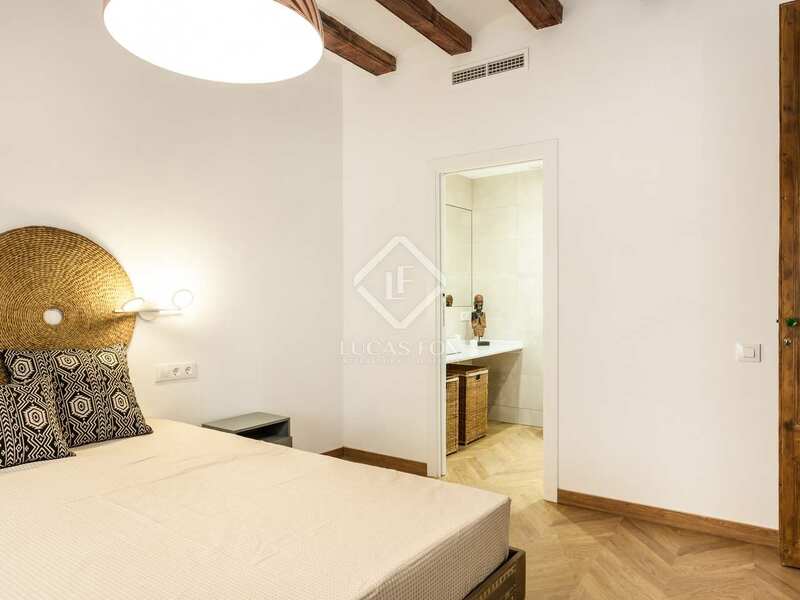 Fantastic renovated apartment with quality designer finishes and period features for rent on Carrer de la Princesa, in Barcelona's El Born neighbourhood. 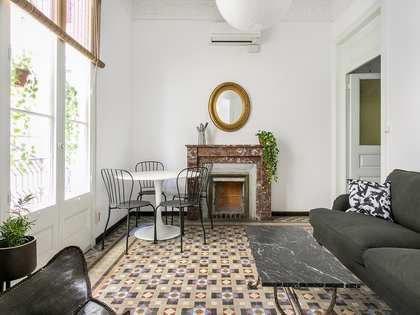 The apartment is located in a building dating back to 1850 located in El Born, in the historic heart of Barcelona. 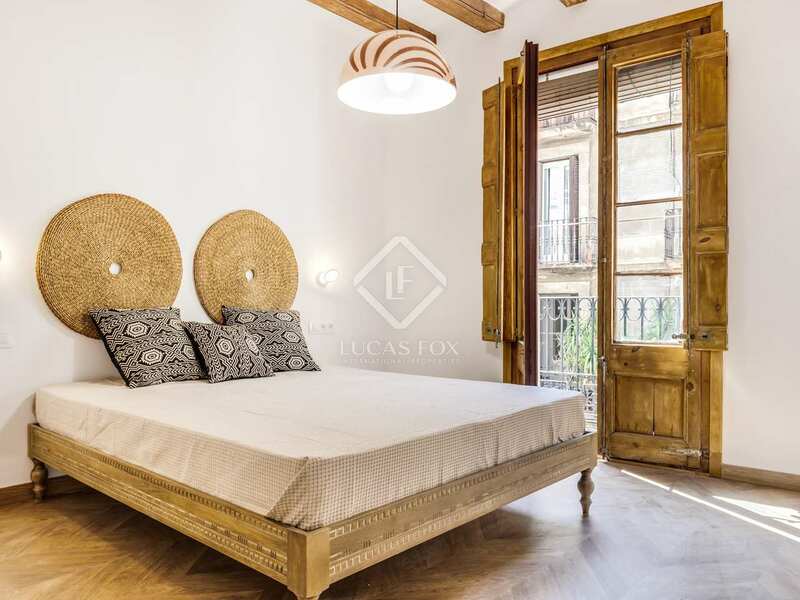 The area is surrounded by excellent restaurants, coffee shops, independent stores and beautiful old buildings. 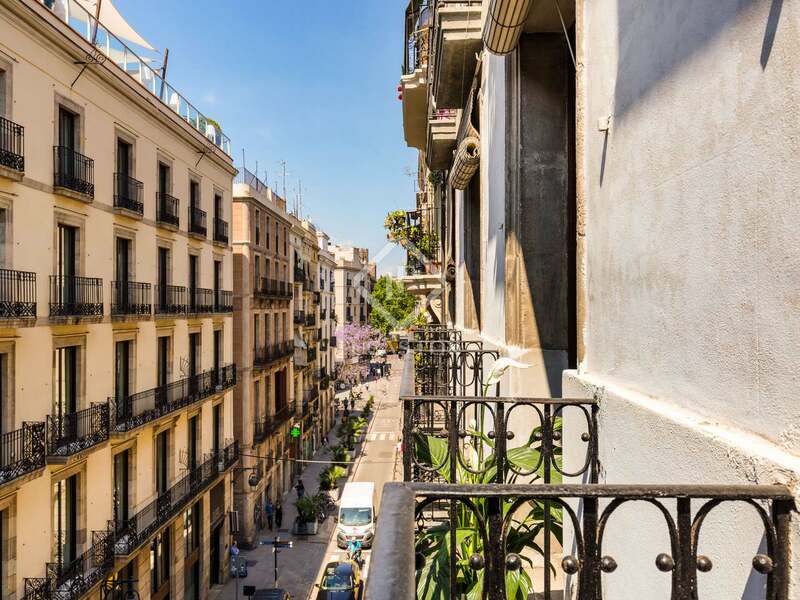 Many consider this neighborhood to be one of the best places to live in the centre of Barcelona. 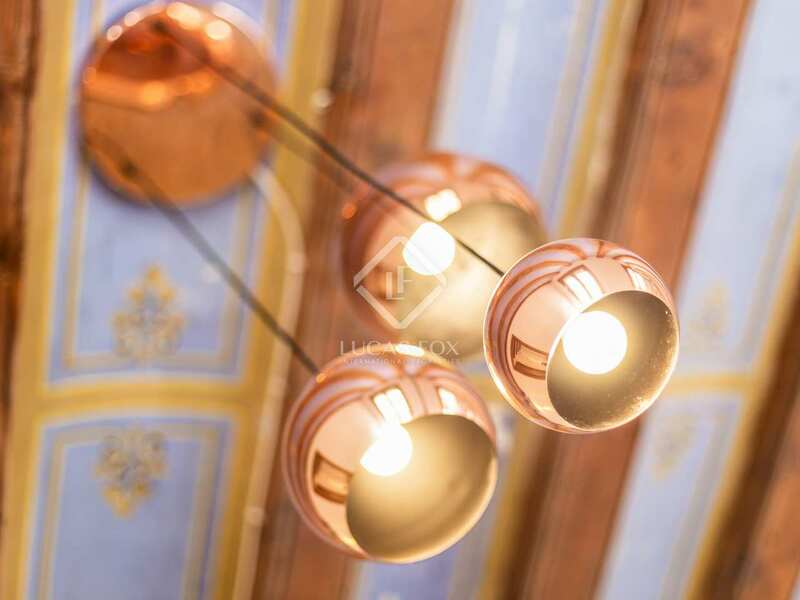 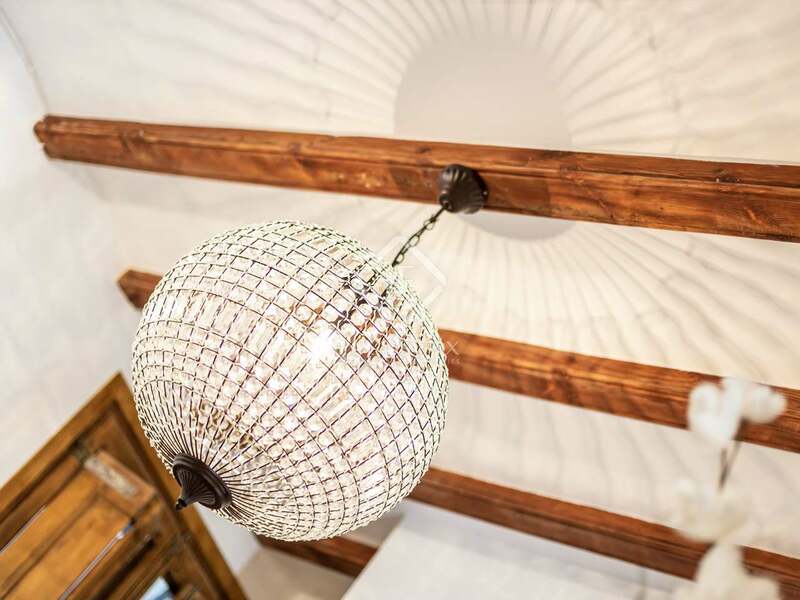 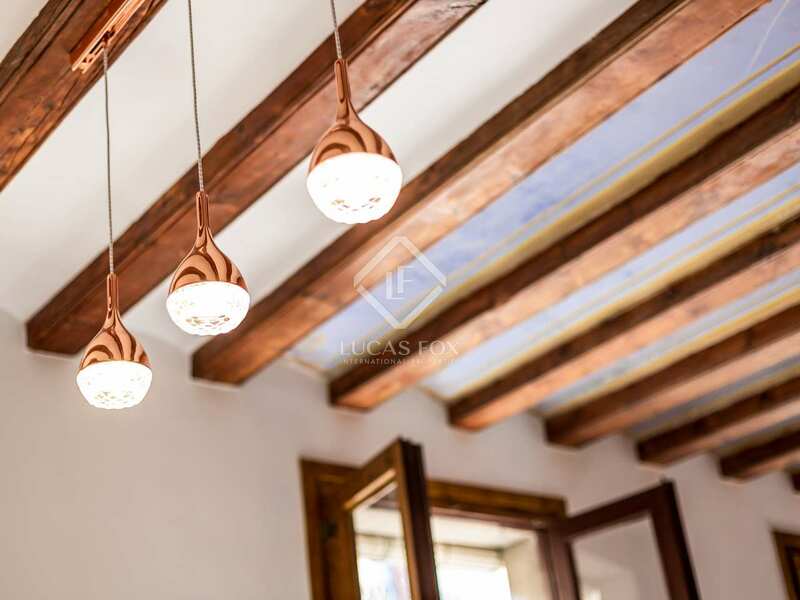 The renovation has been carried out using luxury materials and designer details, preserving historical charm by restoring original features such as wooden ceiling beams with delicate hand paintings, exposed brick walls, and hydraulic tiled flooring. 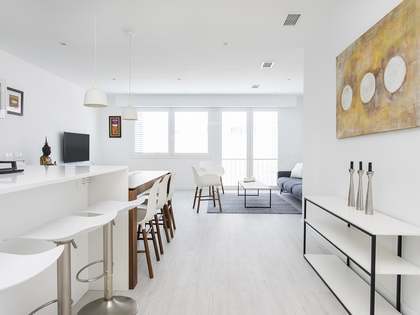 The layout offers a bright, open living-dining room with a kitchen and balconies overlooking the street. 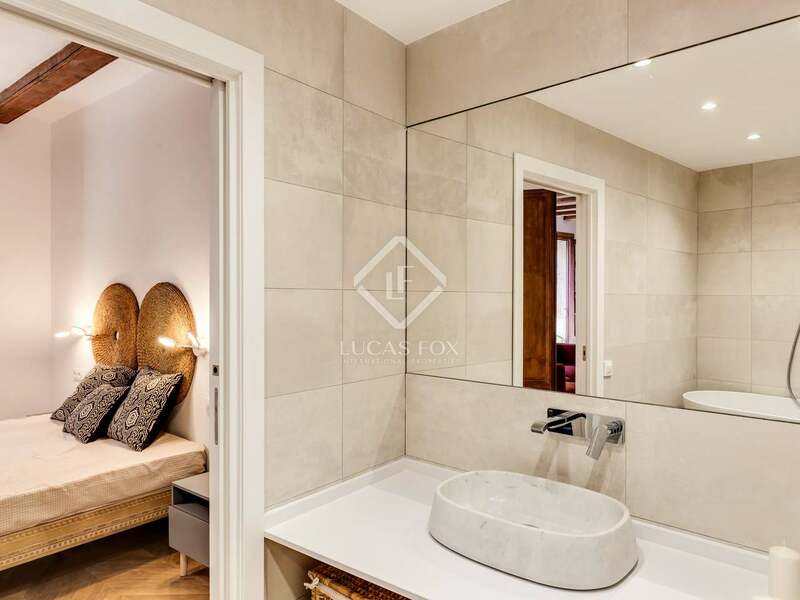 The master bedroom has a balcony, a second bedroom also has a balcony and there is a further room which could be used as a bedroom or office. 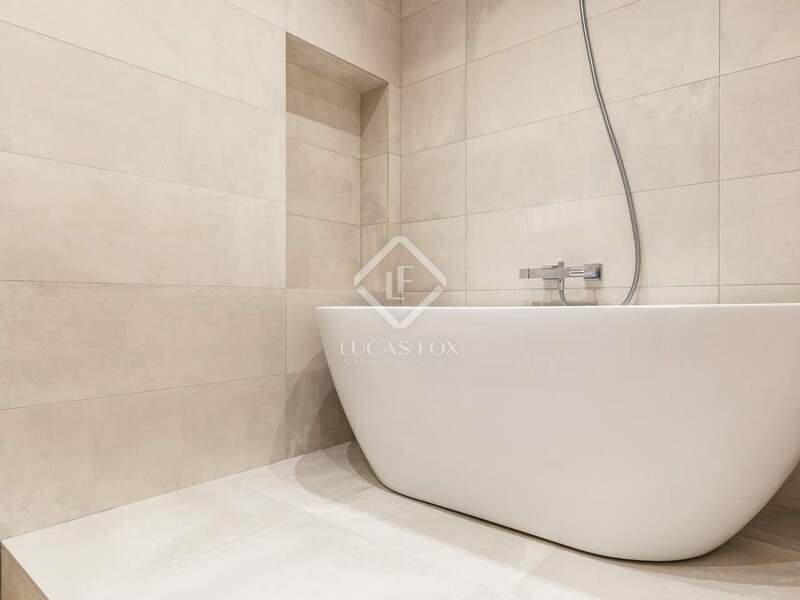 An additional bathroom, a toilet and a utility room complete the apartment. 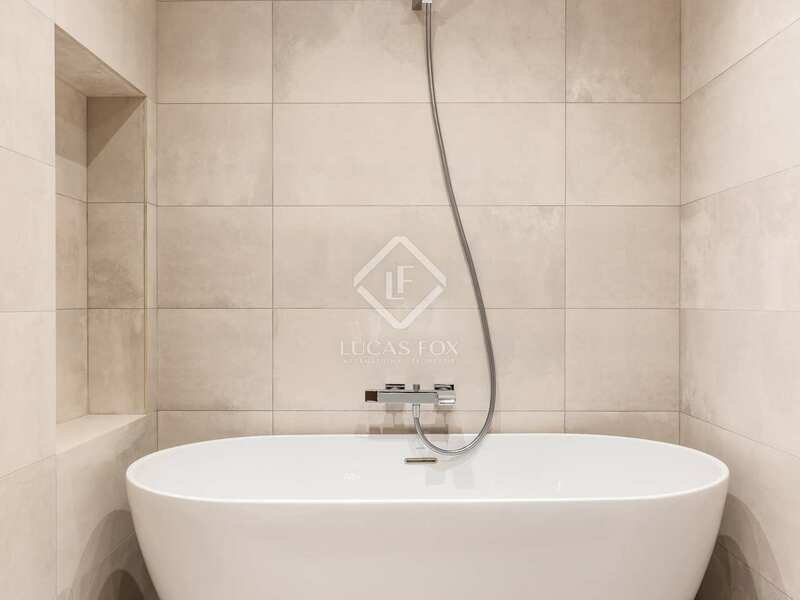 This elegant design includes a modern kitchen and high-end bathrooms, a designer bathtub and designer furniture included in the price. 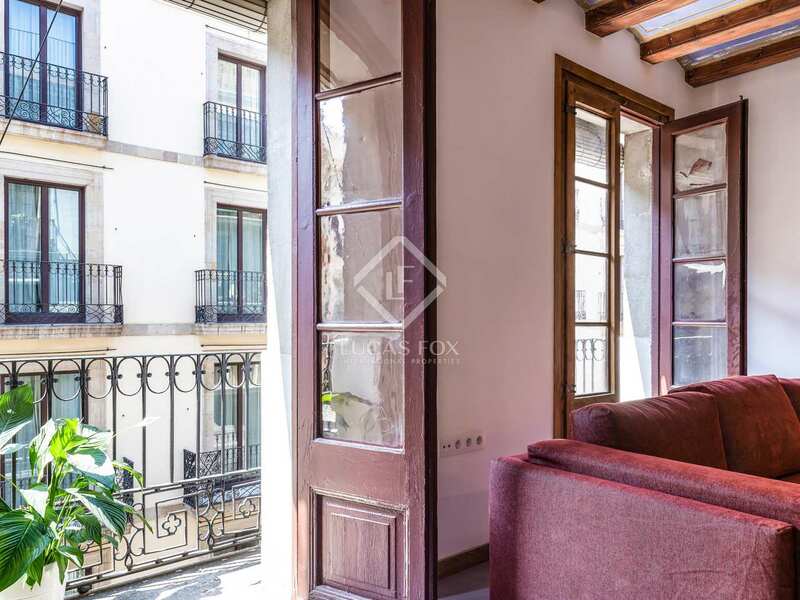 Contact us to visit this charming city centre home to rent. 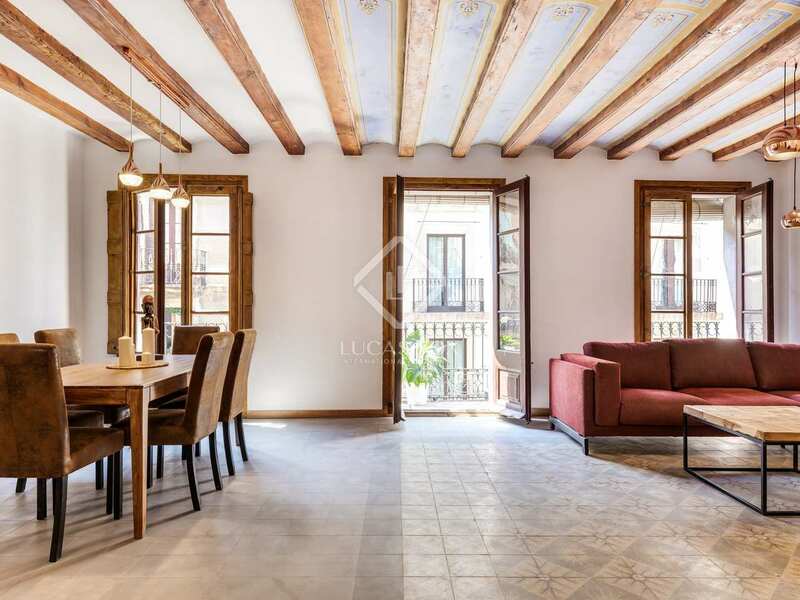 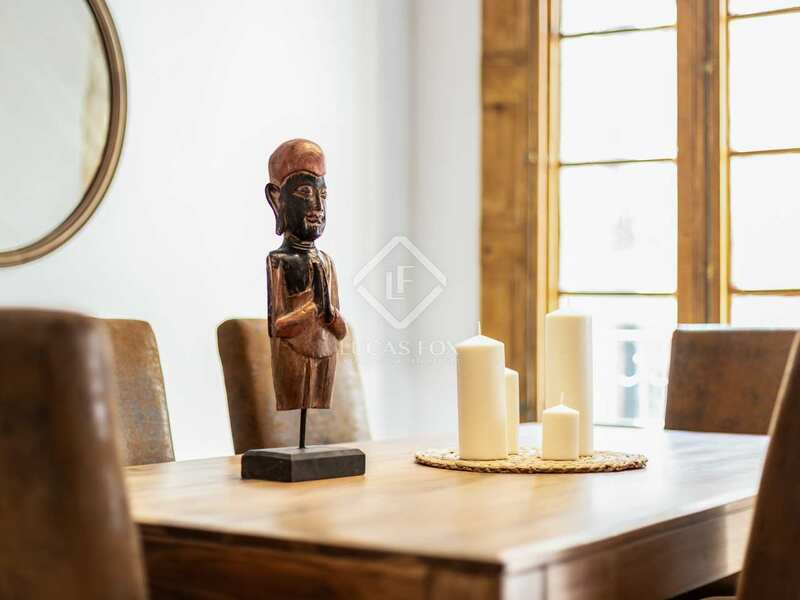 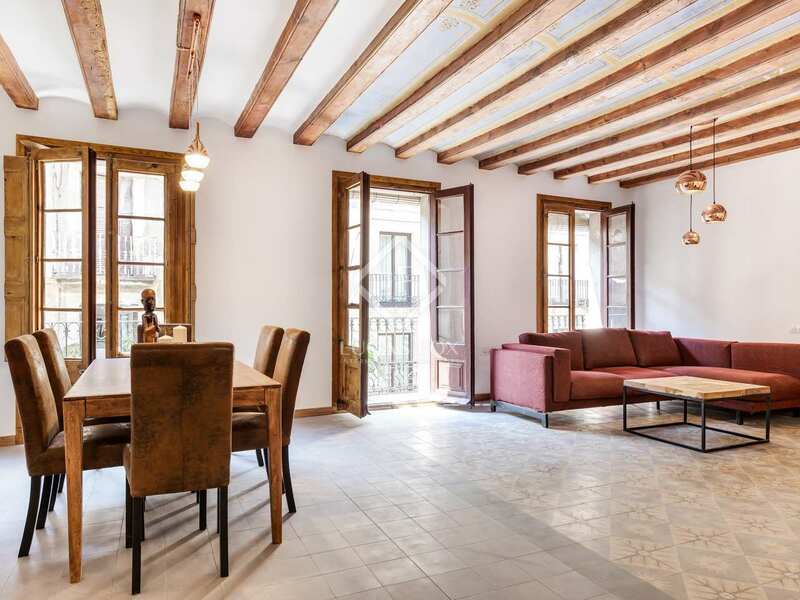 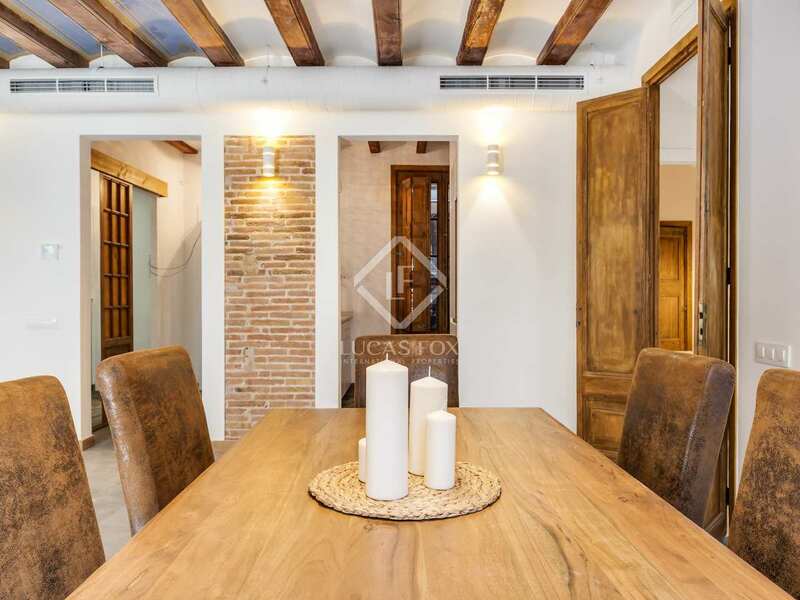 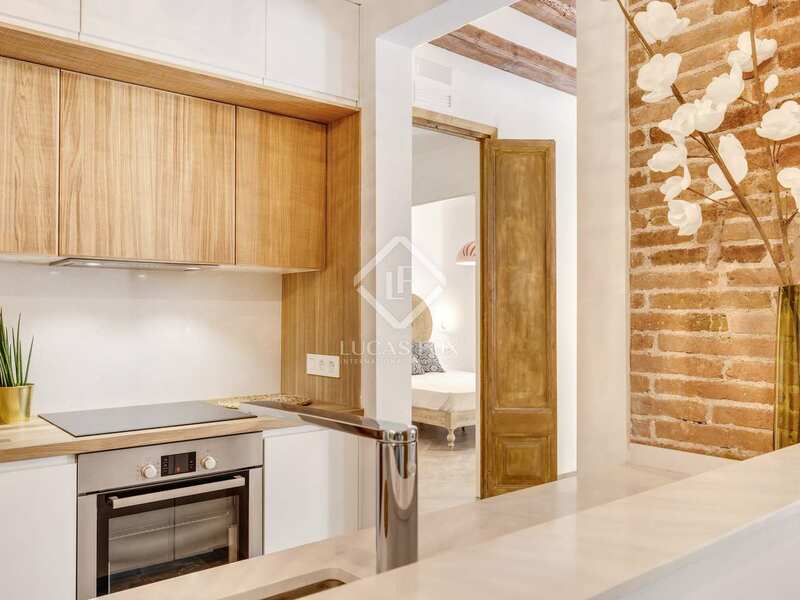 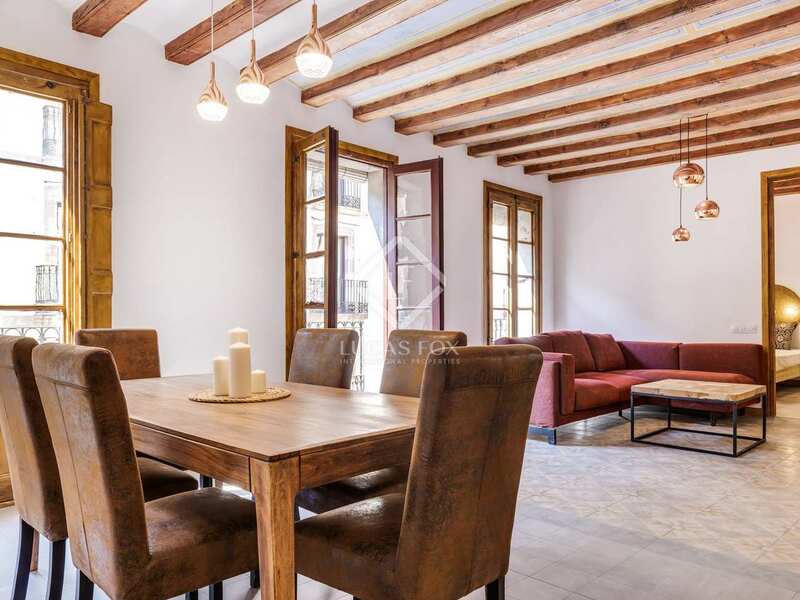 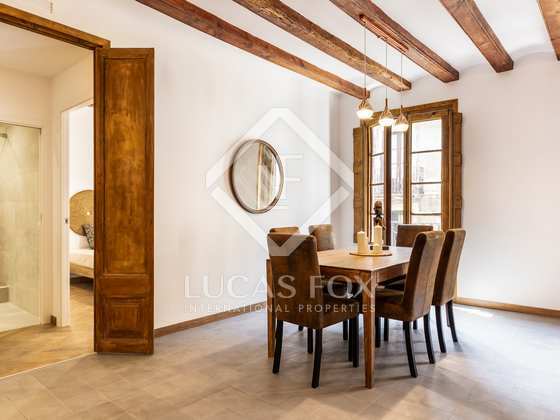 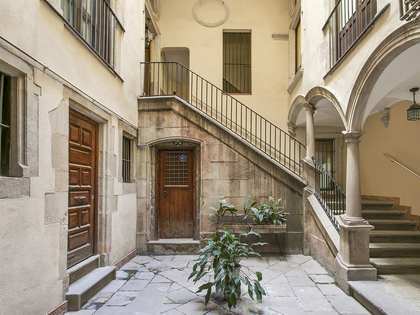 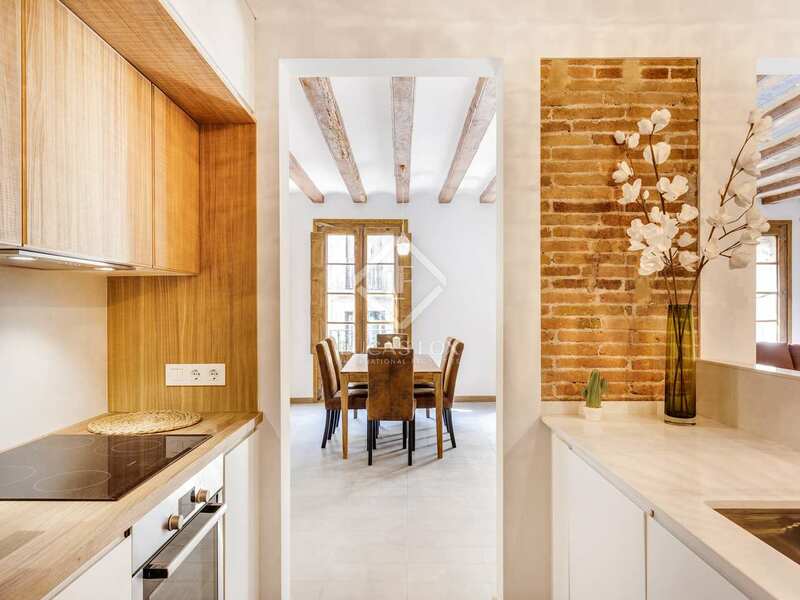 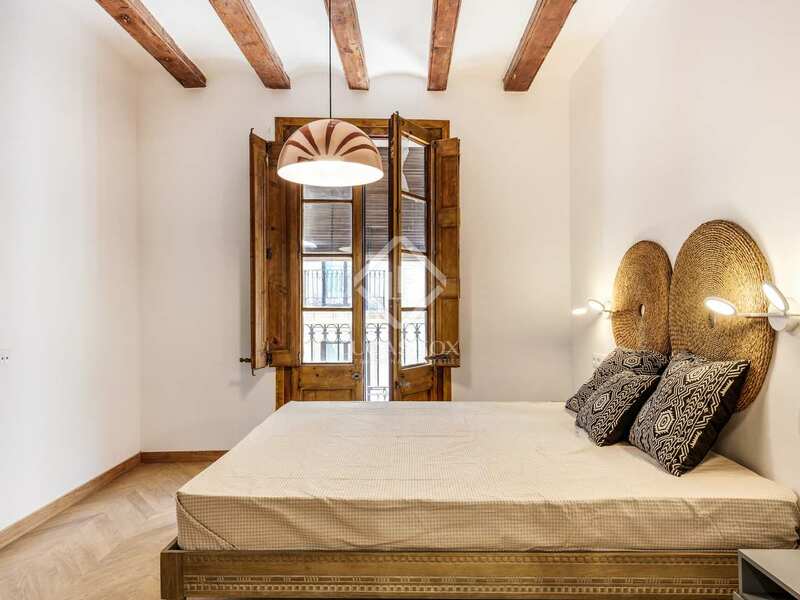 Property located on Carrer de la Princesa, in the heart of the El Born neighborhood, in the old town of Barcelona. 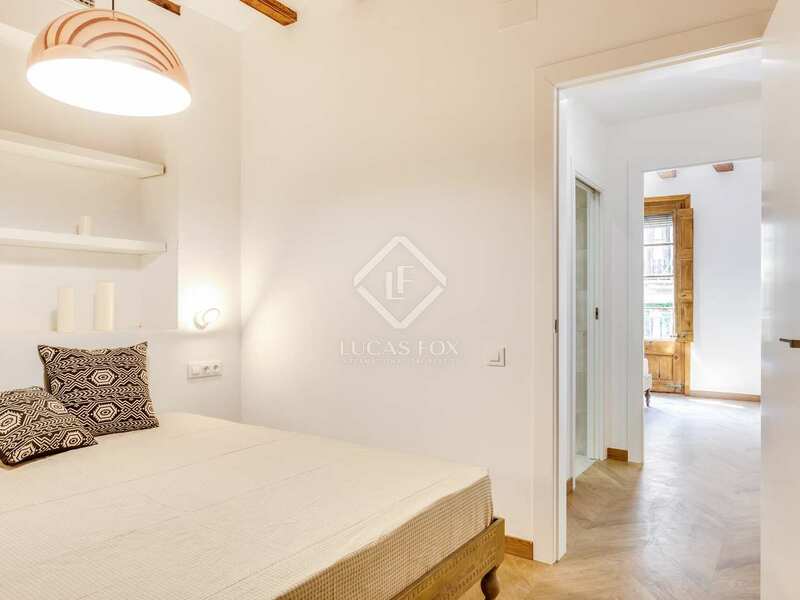 It is close to Via Laietana, Passeig de Colón and Plaça Urquinaona. 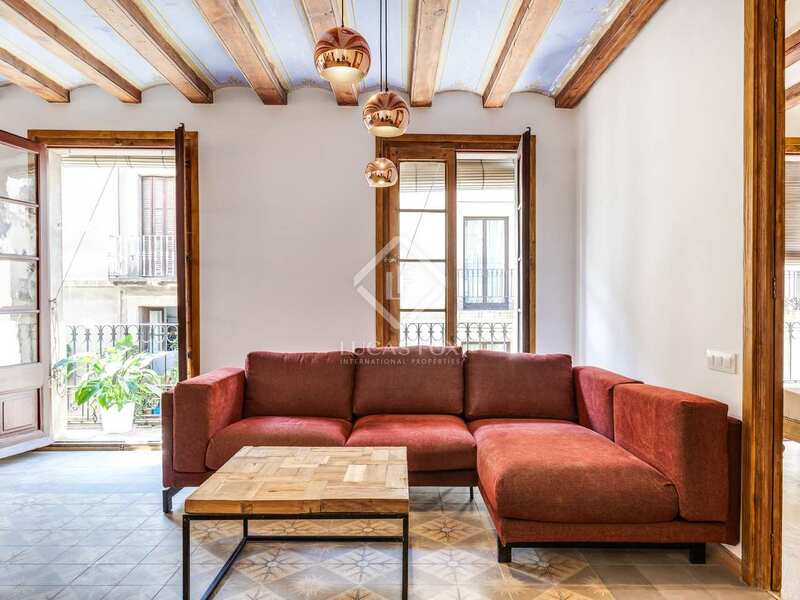 The area has points of cultural and tourist interest such as the Picasso Museum, Santa Caterina market, Santa Maria del Mar Cathedral, and a wide variety of bars and boutiques along the Passeig del Born. 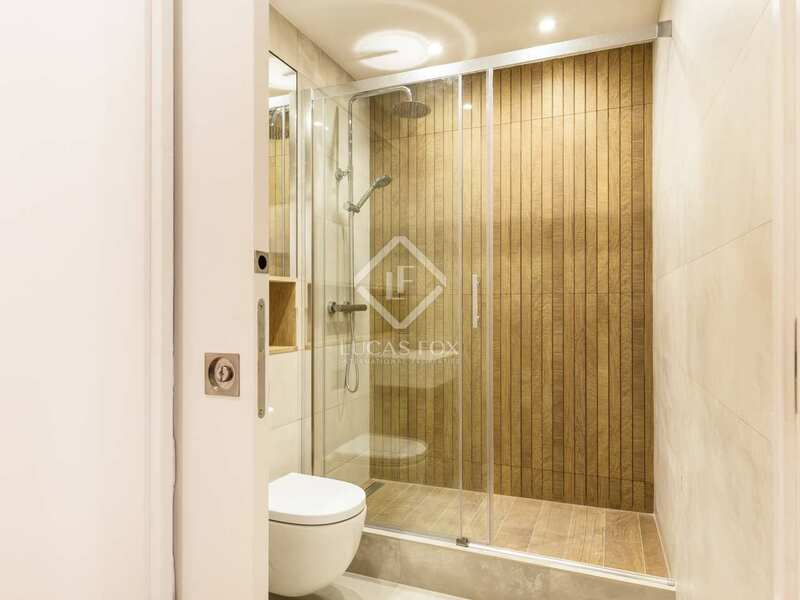 In addition, it offers all services and good public transport connections. 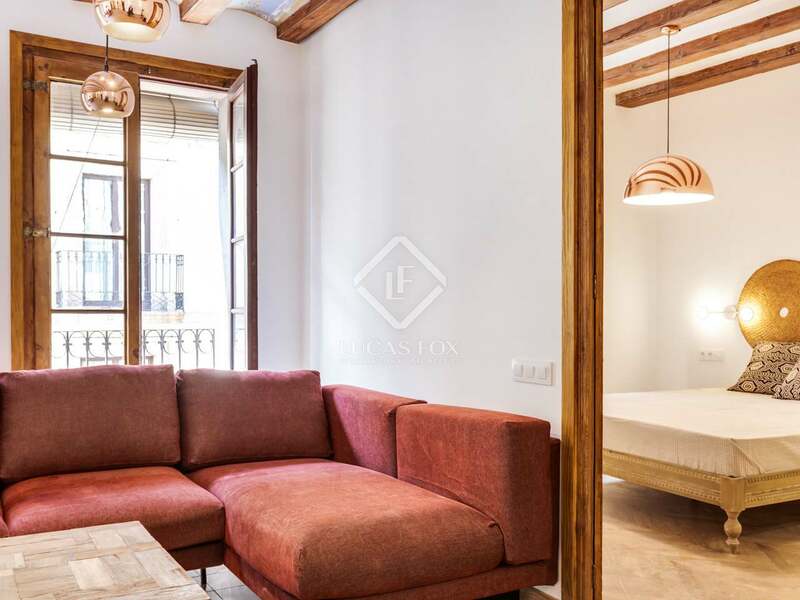 The beaches of Barceloneta and Vila Olímpica are very close by.